With a holiday to Canada just a couple of short months away, I’m already lusting over what to pick up on the countless trips to Sephora whilst I’m out there. I thought I’d share some of these with you today – because just scrolling through all those swoon-worthy products is getting me too excited (and distracted). This has been everywhere lately! I love anything that’s dewy as I suffer from incredibly dry skin – it sounds like it would be perfect as a finishing spray after my makeup routine! You might have seen Champagne Pop on my blog quite a bit since I got my hands on it earlier this year, but this duo looks absolutely divine. The compact is all mixed metal-esque too. I love me a good handcream. This one sounds super luxurious and the reviews are great – I also haven’t tried anything from Josie Maran so I think this would be a good way to introduce myself to her range. Speaking of Josie Maran, I saw this in Tati’s highlighter collection video and my eyes lit up. It’s so incredibly gorgeous on camera, so it must be even better in real life, right?! I’ve been a huge fan of the Marc Beauty line ever since it launched so there’s definitely a couple of things from there on my wish list. The plum shadow in this palette looks gorgeous for the winter months. Again, if you’ve read a few of my posts from last month, you’ll know I’m a total sucker for Tarte blushes. This one is such a pretty soft pink which would be perfect for all year round. Of course, something glittery! I’ve seen this in so many YouTube videos as a cult product, so I think I’ll definitely be swatching it next time I’m in a Sephora. So much glow in this wishlist, I know! I made up my mind that I wanted this as soon as I saw Kathleen swatch them all in her review. They’re just so molten metal gorgeous-looking. This is a long term favourite in the concealer department, I just need a new one as mine is nearly finished. I thought this was a really interesting concept, and I’m all for the quirky beauty products. I’m pretty sure I heard Lily Pebbles rave about this moisturizer in her videos so I thought I’d have a nosey and see what the hype is about. I have a small pan of this in my Hourglass Edit Palette but I love it so much that I want it in full size. It’s so incredibly brightening, and so finely milled – definitely one of the best powders I’ve ever tried. I don’t actually know if this is still available but if I see it, I want it! It looks super unique, and almost wet on the skin which I’ve never really seen in any highlighters that I own. There was a phase in the beauty world a few months ago when this was on everyone’s blog. I was lusting after it then, and I still am now. I think it’s time to purchase. Again, I have a travel size of this lipbalm and it’s one of my absolute favourites. It’s a little on the pricey side, but seriously, it’s just so good. Super moisturising and a really fresh scent too. So many things! I’m sure my wallet will be aching after I’m done buying all this, not to mention the new releases before then – and of course, the aisle of doom on the way to the checkouts. Let me know if you’ve tried any of the products on my wishlist and your thoughts on them – I’d love to hear! 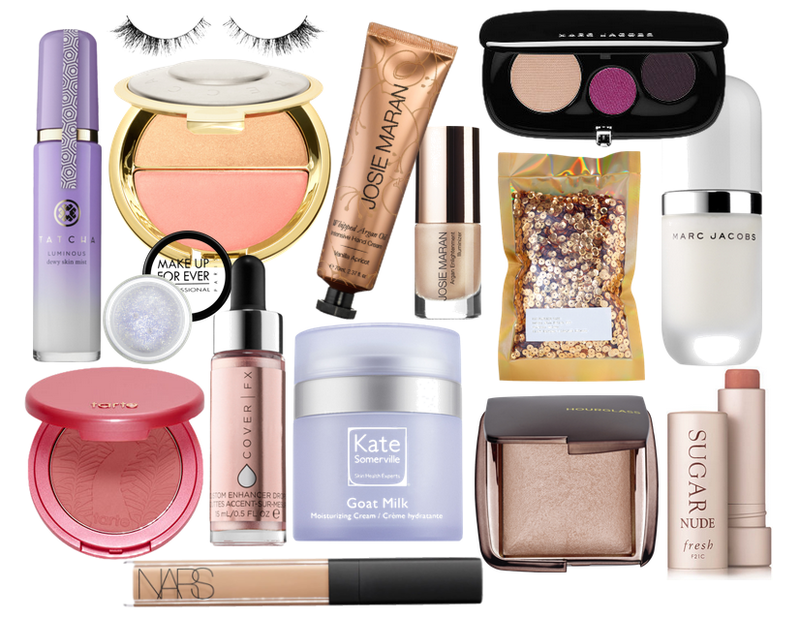 What’s on your Sephora wishlist?